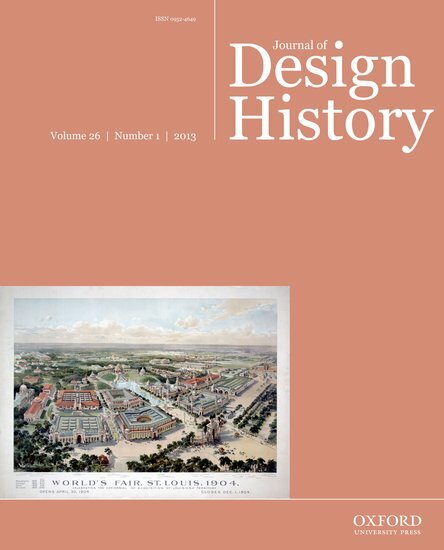 Anca Lasc’s essay, “Interior Decorating in the Age of Historicism: Popular Advice Manuals and the Pattern Books of Édouard Bajot,” calls for a re-definition of eclectic décor as applied to the private interiors of nineteenth-century France. Scholars of the nineteenth century have separated two forms of advice literature, one dedicated to women as house decorators and the other dedicated to men as collectors. By bringing them together, this essay argues that these private interiors, rather than being eclectic, as they might appear to an untrained eye, were, in fact, carefully orchestrated decorative ensembles guided by the rules of historic revivalism and themed décor, which attempted to create a collection of different times and places through interior decoration. The article appeared in vol. 26, 1 (2013), 1-24. For full text, click here.